Browse: Home » 2015 » April » 20 » Who’s Ready for Mobilegeddon? 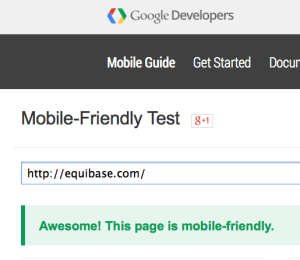 Earlier in the year Google announced that it was going to modify its search algorithm to favor sites that are mobile-friendly when the search traffic is coming from a mobile device. This is great for people searching on a mobile device, but not so great for publishers who do not have a mobile-friendly site. In fact, it’s been dubbed mobilegeddon in some corners of the publishing world due the potentially catastrophic effect it could have on a site’s overall traffic. The change happens this Tuesday April 21. Which horse racing publishers are prepared, and which are not? 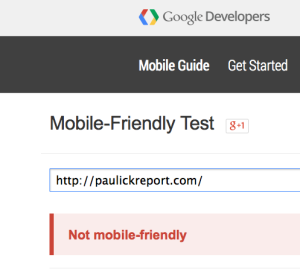 Google offers an easy to use tool to determine if Google thinks your site is mobile-friendly, so let’s take a look at the main industry publishers. Not too bad! Although Blood-Horse and Paulick will probably take a decent hit. Something to remember when Paulick starts tweeting about his traffic! 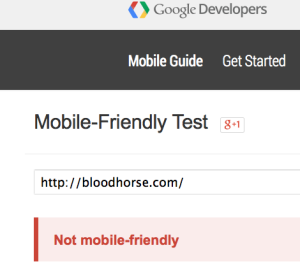 And I wouldn’t be surprised if Blood-Horse was already working on addressing this issue. 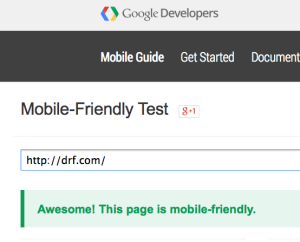 Here are some tips on preparing for mobilegeddon! 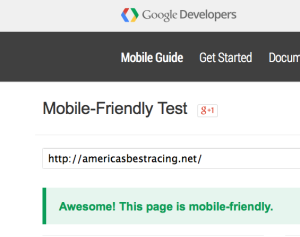 I would be remiss if I didn’t point out how mobile-friendly, or not, my own site are. Raceday 360, Horse Racing Datasets and this site are mobile-friendly, but unfortunately Hello Race Fans is not. I could’ve slapped a mobile-friendly, responsive WordPress theme on it, but we have a lot of custom templates after FIVE YEARS (yes, it’s been around for five years!). Mobile search is not currently a large percentage of our traffic or I would have addressed it by now. But I guess I’ll see if it’s a traffic bloodbath on Tuesday. If you notice a sudden change at Hello Race Fans, you’ll know it was, lol.